I'm lucky enough to have a fella who's great at making cocktails, and Halloween is where he gets really creative. We had great fun making drinks with a creepy twist last year, so we thought we'd share some recipes with you. Scroll through the pictures for instructions. Get your work area organised with the things you need. Fill your glass with a good amount of ice. Pour one shot (25ml) of Campari into the glass. Add one shot (25ml) of gin. Finally, add a shot (25ml) of Martini Rosso (vermouth rosso) to the glass. 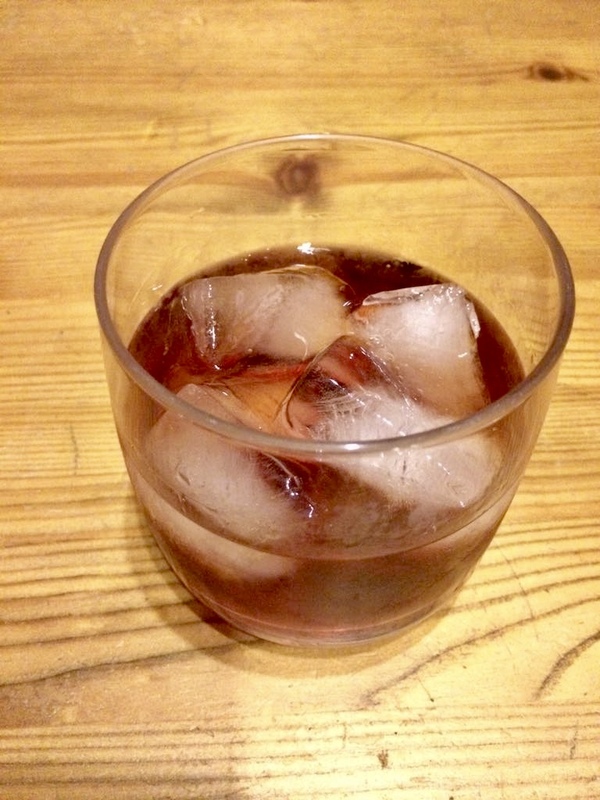 That's your Necroni (dead Negroni, see what we did there?) - now to add the spooky touches. Using a sharp knife, cut a slice from the orange. Decorate into a skull by removing two triangles for eyes, and scoring the skin for nostrils. Pop your skull garnish into the glass and enjoy your Halloween Necroni! Grab and organise your ingredients and equipment. Measure out two shots (50ml) of vodka. Fill your glass with a few bits of ice and pour the vodka in. 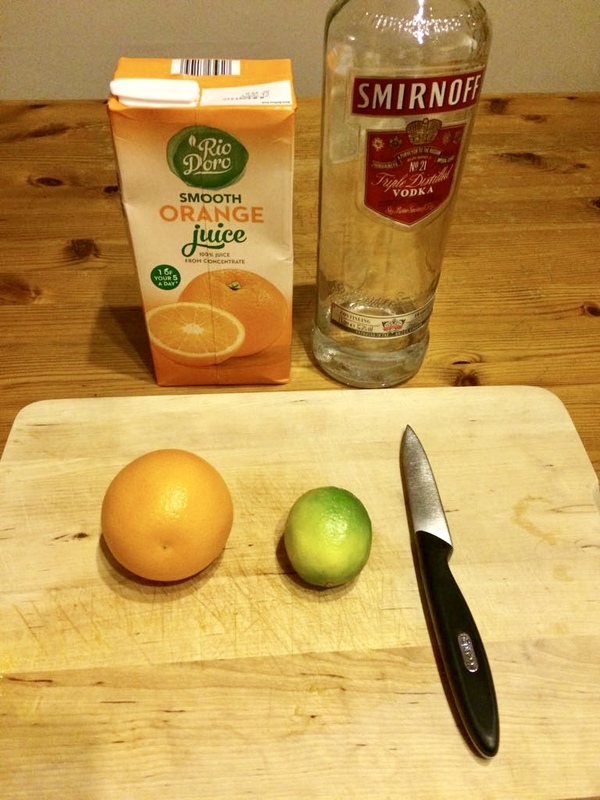 For the garnish, slice an orange - you want the biggest circumference you can get, so aim for a slice in the middle. For the stem you'll need your lime. Cut your lime so you have a small wedge - about an eighth - or smaller if you have steady hands. Remove the fruit to leave the rind. To make the pumpkin, slot the lime into the centre of the orange slice, so it looks like a pumpkin lid with a stem. Pop your pumpkin lid on to the top of your drink, stick in a straw and enjoy! Enjoy responsibly - I'll post more cocktail recipes up soon.